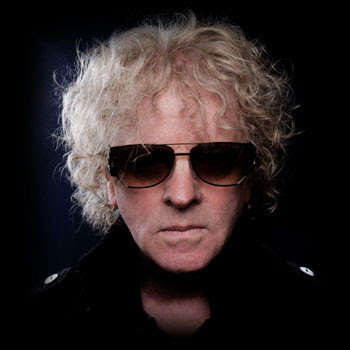 I’ve always had a liking for Ian Hunter. First in the days when Mott the Hoople were on Top of the Pops with a string of classic hits, all razor-wire guitar, pounding piano, attitude – and shades! Then there was his first solo hit, ‘Once Bitten, Twice Shy’, which along with Dr Feelgood’s ‘Back In The Night’ seemed to be on permanent rotation at school discos when I was fourteen. I’ve returned to his stuff periodically ever since, most notably with the terrific, three-quarters live album Welcome To The Club, and the Hunter Ronson outing YUI Orta – and also a couple of incendiary gigs at the Liquid Rooms in Edinburgh in the late 90s. over Christmas I couldn’t resist banging out a belated review. Because here Hunter is again, at the grand old age of 77, still delivering the goods with a knockout album. People’s attention will naturally be drawn to ‘Dandy’, Hunter’s anthemic eulogy to Bowie and the way he lit up the Seventies. But there’s plenty more to enjoy on this ten-song set, right from the opening ‘That’s When The Trouble Starts’. It’s a stomper on which a needle sharp guitar riff from Mark Bosch underscores Hunter’s way with words as he skewers the TV talent show phenomenon: “After your 15 minutes of fame – look out, here come the howlin’ rain”. 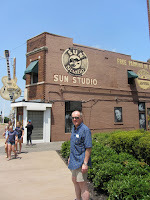 There’s a great hook on ‘Ghosts’, as Hunter captures the spine-tingling sensation of being able to jam at Sam Phillips’ Sun Studios, among the spectres of his heroes. Hunter and co-producer Andy Yorke capture a full sound from the Rant Band throughout, with little details of shading in the various arrangements – on this occasion some nice slide from James Mastro, while Bosch delivers a searing solo on the shoutalong of ‘Bow Street Runners’, which tells the tale of the prototype London coppers. Hunter has always been a master balladeer as well, and the title track is a classic example, piano-led in the mould of ‘Irene Wilde', with a lovely, soaring chorus. It’s imaginative lyric is far from your typical lurve song though, as it contemplates the privations of ‘pressed men’ in the 18th century navy. ‘You Can’t Live In The Past’ is a similarly downbeat mediation on loss, loneliness, and the fatal charms; underpinned by a simple, gentle reggae rhythm, it conjures a beautifully melancholic mood. Further variations in style are apparent in the likes of ‘Stranded In Reality’ and the closing ‘Long Time’. The former has the jangling, lilting feel of something like The Pretenders’ ‘Back On The Chain Gang’, and yet more imaginative wordsmithery: “Bought my space ship second hand / Should’a known better – the steering jammed”. The latter muses on the ups and downs of a musical career in a style that suggests The Band crossed with an East End knees-up. On YUI Orta Hunter declared that “I love American music, I play it all night long / Just me an’ my records an’ a vivid imagination”, but in spite of his love for all his Stateside rock’n’roll’n’soul heroes, his songs are infused with a distinctly British sensibility – reinforced by the fact that he continues to sing in a raucously English accent. The Stones’ Blue & Lonesome may demonstrate that the old codgers have still got it, but in essence it’s a rebooted trip down memory lane. Fingers Crossed may come from the hand of a fellow veteran, but it’s something different – another great blast of new and memorable material from one of Britain’s finest rock’n’roll songwriters. Go get it.